Little, Brown Books for Young Readers, 9780316400022, 32pp. An inspiring celebration of life and new experiences--perfect for graduations and fans of Oh, the Places You'll Go! Roads give you chances to seek and explore. Want an adventure? Just open your door. 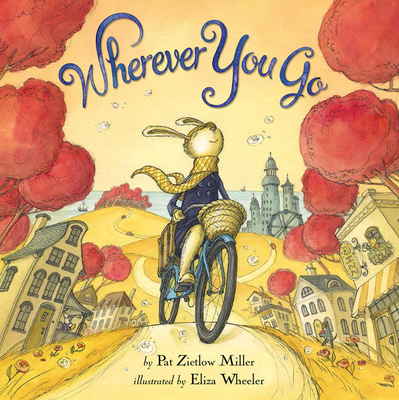 Pat Zietlow Miller is the award-winning picture book author of Be Kind, Sophie's Squash, Sharing the Bread, The Quickest Kid in Clarksville, and Wherever You Go (illustrated by Eliza Wheeler), among others. She lives in Wisconsin. Eliza Wheeler is the bestselling author and illustrator of Miss Maple's Seeds and was a 2017 Sendak Fellowship recipient. She has illustrated the Newbery Honor Book Doll Bones and Wherever You Go (written by Pat Zietlow Miller), among others. She lives in Minnesota. * "Captivating artwork and rhyme."